Hot Stamping Machine - Guger Industries Co., Ltd.
Guger has over 20 years experienes in hot stamping industry. We are now one of the best manufacturer for this machine. You can contact us now for more information about it. 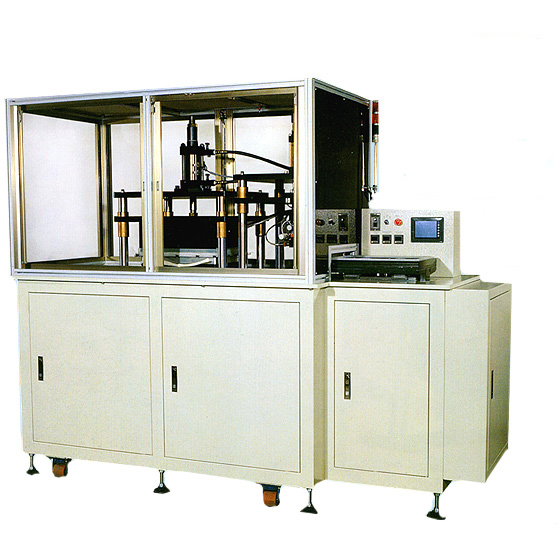 We also offer customized machinery; therefore, custom-made hot stamping machine is more than welcome. Hot stamping is a dry printing method in which a heated die and foil are used to apply graphics to a surface. The operating process of this machinery has three prominent features. First, a die is mounted and heated. Secondly, foil is positioned above the material to be imprinted. Last but not least, a combination of heat, dwell time, pressure and stripping time control the quality of the stamp. Suitable for mobile phone housing, PAD and other plastic shell. Custom-made machine is welcome.